Wow! Here is an opportunity to make this unit +G+your own+G-. This property is located in the Historic Quarter neighborhood . This beautiful condo is awaiting its new owner. This unit needs your personal touch to turn it into a special home. The extra-large patio off the living room is a rare opportunity for outside living space accessed through the living room sliding glass door. The 2nd bedroom could easily be a den, a home office, a child+GGs room, etc. The kitchen has the very traditional window over the kitchen sink. The dining area is open to the kitchen with its own sliding glass door. Every room has a window, making it a light and bright unit. The community offers a community pool, spa, and well-maintained grounds. This home+GGs prime location places it within minutes from shops, restaurants, freeway access, and Malibu beaches. It is in the highly regarded Las Virgenes School District. There is one assigned carport with plenty of street parking. Water and trash are included in HOA dues. 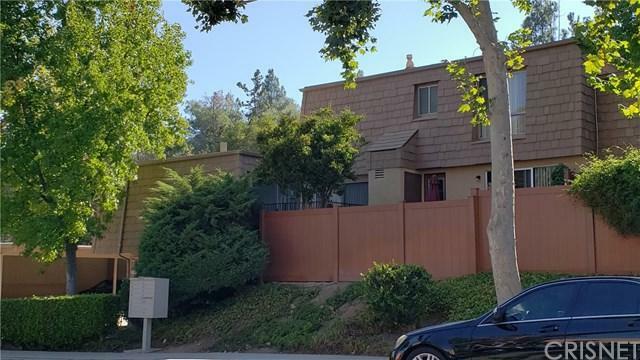 Sold by Mary Ann Scott of Berkshire Hathaway Homeservices California Realty.